Click here to read about one of our proejcts in the news! Please scroll through to learn about what we do, and contact us with any of your restoration and remediation needs! 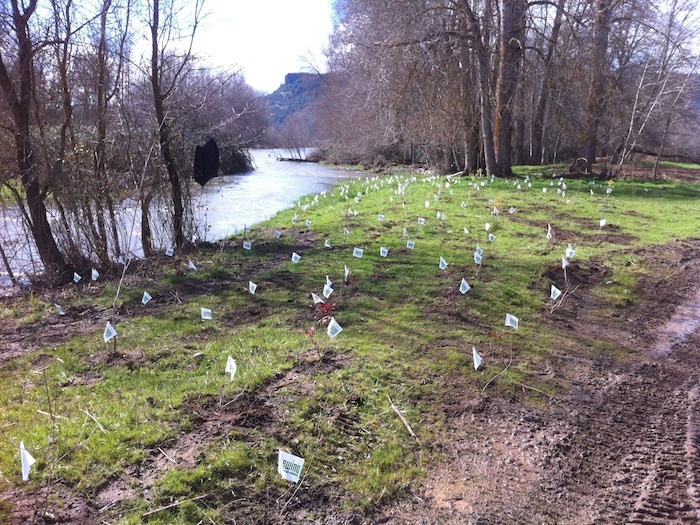 Plants are an essential element of riparian area protection. 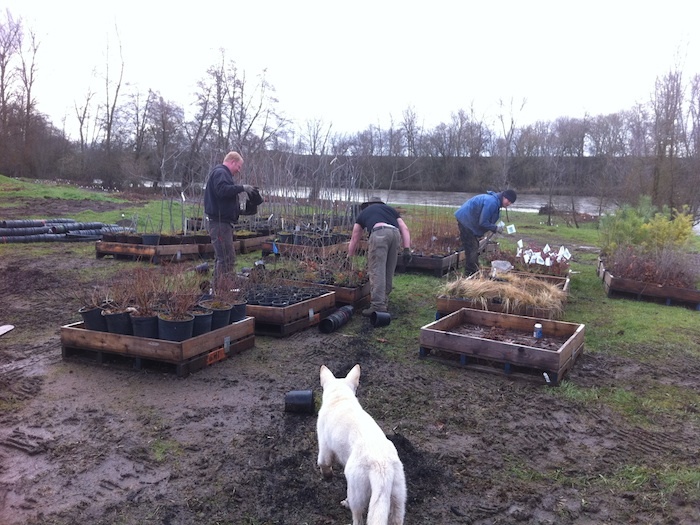 At Plant Oregon we grow a large selection of riparian and restoration plants in the various sizes necessary for meeting Best Management Practices when dealing with NPS (Non-Point-Source) Pollution. A marsh-wetland treatment facility, if well designed, should look like a natural wetland. A forebay or pretreatment unit is necessary to help protect the wetland from excessive sediment loads and other pollutants. The edges, and much of the shallow area, support wetland vegetation and the center area is typically open water most of the year. The area involved may range from less than half an acre to thirty plus acres. Such facilities are generally used as regional facilities to serve developed urban or commercial areas. Marsh wetland facilities are usually larger and shallower than wet ponds and have a permanent or seasonal water surface. -Has high pollutant removal capability, including for dissolved constituents if designed properly. Vegetated or grassed swales are relatively flat vegetated ditches. The swale cross section is trapezoidal and the side slopes are usually at least three to one. The bottom width is at least three or four feet depending on design-runoff rates. The concept involves spreading runoff over a wide channel to provide biofiltering during low to medium intensity storms. Most facilities are at least 100 feet long and 15 to 20 feet wide at the top. They are most often used to serve private residential and commercial developments in urban areas. -Provides an economical approach to urban run-off remediation. Irrigation is essential for the success of newly planted projects in these hot, exposed locations. A wet pond appears as a depression which contains a permanent ponded pool, often behind an existing road fill or constructed embankment. Wet ponds are deeper than a wetland and typically larger than a sedimentation pond. Treatment occurs through a variety of natural physical, chemical, and biological processes in the aquatic environment. A conjunctive use flood detention pond is similar to an extended detention pond, but instead of a sedimentation pool for low intensity storms, a wetland treatment area is included in the lower portion of the site. It appears as a wetland behind a road fill or constructed berm with a relatively large normally dry area surrounding the wetland. If correctly designed, it can provide the same water quality benefits as wetlands. -Permanent pool in wet ponds helps prevent scour and resuspension of sediments. Extended detention ponds are much like sedimentation ponds, only generally much larger. Since aquatic and riparian vegetation are usually not involved, the fish and wildlife habitat value is usually less than for other types of facilities, such as marshes and wetlands. -Can create valuable wetland and meadow habitat when properly landscaped. Porous pavement appears the same as standard asphalt or gravel pavement but the material is designed to accept water much more readily than other similar surfaces. An infiltration gallery is constructed below the pavement to enhance the infiltration capacities of the facility. -Cools water draining into streams. 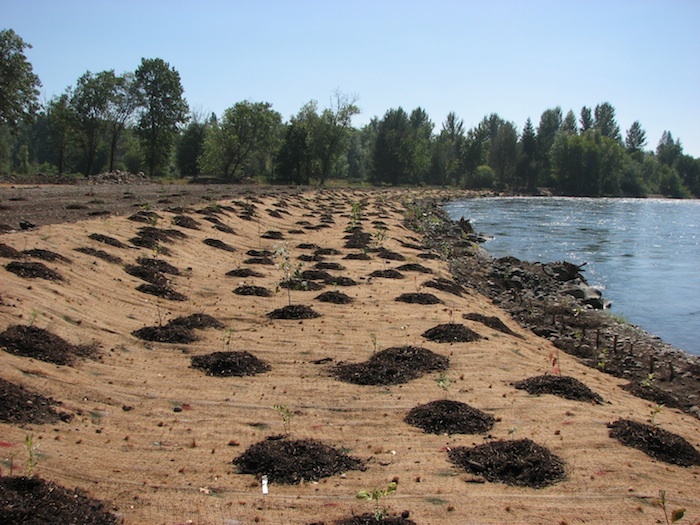 Vegetated filter strips can be established along a stream, ditch or other water body. Their most effective and efficient implementation is to maintain buffer strips of natural vegetation. Either natural or constructed filter strips should incorporate riparian wildlife values and provide bank stabilization. 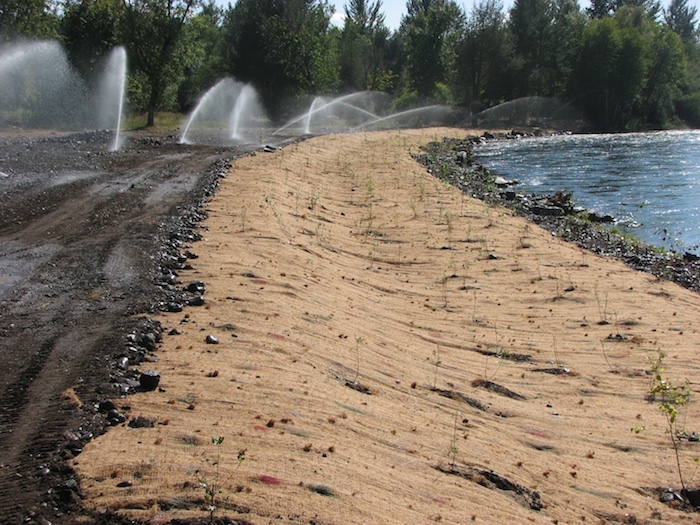 Filter strips look like landscaped or natural vegetation along both sides of a waterway, lake or wetland. Filter stripes function similarly to vegetated swales, but primarily filter runoff entering the water body. Swales address the water flowing in the swale itself. -Is economical, particularly if the existing vegetation is preserved prior to development. Sedimentation boxes are installed along streams, and remove suspended sediments and bed load. Rectangular concrete boxes are recessed along a stream bed or ditch at an elevation which does not change the water surface profile. A number of chambers are provided which encourage bed load deposition and some settling out of sediments, depending on particle size. Sizes can range from 4'x 2'x 20' to 15'x 4'x 50.' The concepts involved are similar to sedimentation ponds but have a completely constructed configuration and are generally smaller. Flexibility to retrofit existing small drainage areas and applicable to most urban areas. 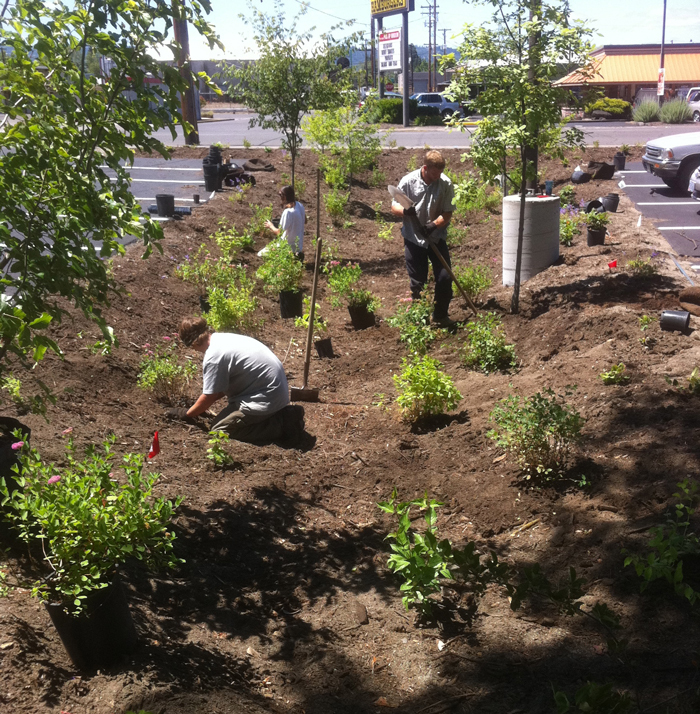 The crew installing a bio-swale in Medford, Oregon. An infiltration trench involves a surface conveyance structure such as a vegetated swale with a high infiltration capacity bottom. Infiltration trenches can be used both in a regional stormwater conveyance system, and on residential lots. They can also be used effectively in commercial areas provided the runoff is not expected to contain hazardous or toxic materials. They are very similar in appearance to vegetated swales and function much the same as other infiltration facilities. -Can fit into medians, perimeters, and other unused areas of a development site. -Acts as a good pollutant removal. During normal dry periods, a sedimentation pond is usually a dry depression behind a road-fill or constructed berm. Some provide permanent or semi-permanent pools of water and may resemble wet ponds, though usually smaller. During storms, sedimentation ponds provide a quiescent pool within which the settling of sediments can occur. They vary in size from ¼ acre to up to twenty+ acres depending on the drainage area served. One of the most common applications is at construction sites during construction. They are different from sedimentation wetlands or ponded wetlands in that wetland vegetation is limited or absent. -Basins provide more habitat value than other infiltration systems. Contained drainage systems are a system concept involving self-containment of development-site drainage. They can reduce off-site impacts to natural or below natural conditions. Contained drainage systems may include such facilities as sedimentation ponds, marsh wetland treatment, infiltration facilities and vegetated swales to improve the water quality and reduce flooding impacts downstream. This involves protecting streambanks and a vegetated riparian buffer near surface water bodies. Riparian areas provide a natural biofiltration system along stream banks, wetlands, and other water bodies. These areas cool the air and water, reduce erosion, and enhance sediment deposition. 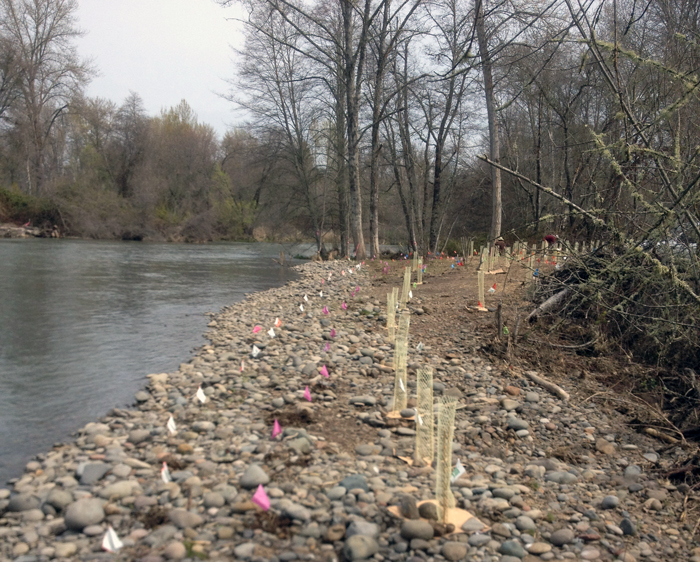 Riparian buffers in developed areas are established and maintained through local development ordinances. In some areas, cultivation or tillage is the major cause of agricultural soil erosion. Some tillage practices increase soil losses through storm runoff and wind erosion. Tillage management refers to techniques used to reduce the erosive effect of water on exposed soils. Reseed any open tilled ground to cover crop immediately after tillage when the land is between crops. The above photo shows one of our fields planted to Barley, awaiting a crop of trees to be planted in the winter. Notice Wagner Creek along the bottom of the field would be vulnerable to the sediment had this been a wet fall and the field left open and exposed to erosional forces. Livestock holding areas such as barnyards, corrals and pastures can contribute significant levels of pollution to receiving waters. The magnitude of the effect of these sources depends on the size of the area, the number and type of animal and the location with respect to receiving waters. Management practices emphasize minimizing stormwater contact, containing contaminated stormwater, installing runoff treatment systems, reducing livestock densities, and eliminating livestock access to sensitive areas. Forest harvesting usually results in a large amount of residue, composed mostly of woody debris and understory vegetation. The manner in which the residue is managed can have positive or negative effects on water quality. To reduce surface erosion, it is sometimes best to leave slash after logging without further disturbing the site. The slash material can also be utilized to form skid trail barriers and retard surface erosion. Chipped residues can be distributed over landings and along right-of-ways to reduce soil erosion. Helicopter logging and winter logging over snowpack can greatly reduce damage to the forest understory, leaving the forest's absorptive capabilities more or less intact. 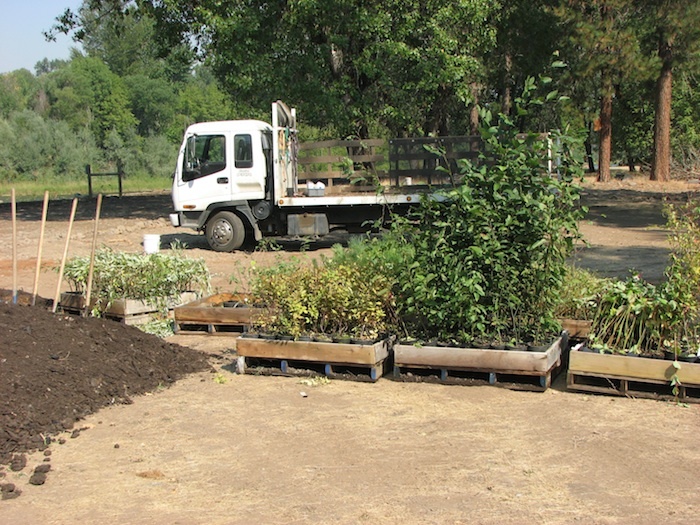 dan@plantoregon.com 541-535-3531, FAX (541) 535-2537 All contents copyright © 1994-2012 Plant Oregon. Much of the wetlands restoration information on these pages has been taken with permission from NONPOINT SOURCE POLLUTION: A HANDBOOK FOR LOCAL GOVERNMENTS.